The third flavor in my Popsicle Series. What's more refreshing during the summer than watermelon and mint? 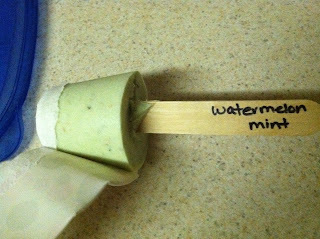 This was definitely the most involved of all the popsicle flavors simply because there were more ingredients and a little more prep for those ingredients. But still pretty simple to make just like the others. Dice the watermelon into bite-size pieces. Finely mince mint leaves. 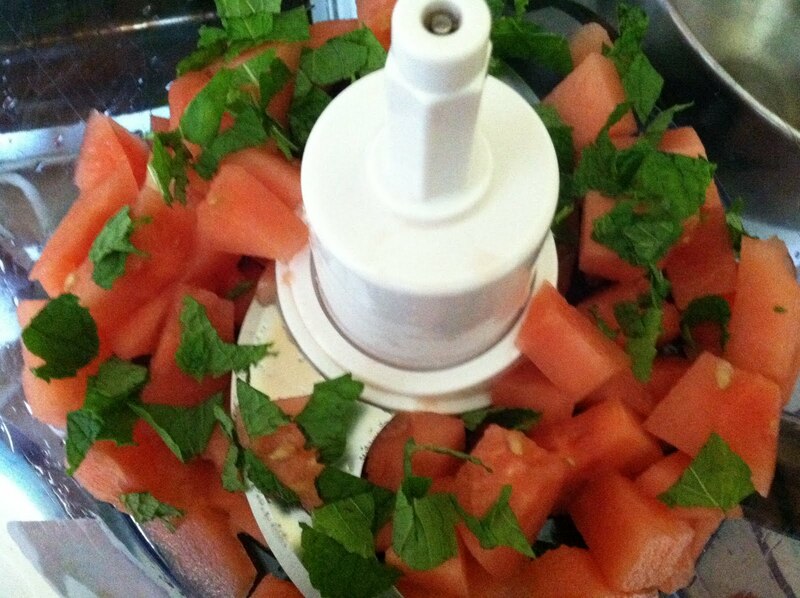 Put watermelon and mint together in the food processor and chop/pulse just a few times. I wish we had smell-o-vision for this one! The watermelon and mint smelled so wonderful together! Add watermelon and mint, along with yogurt, lime juice, club soda, and creme de menthe. Stir until well blended. 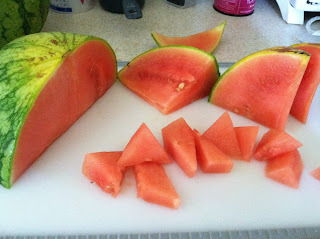 Using 3 oz Dixie cups, scoop the watermelon mixture into the cups almost to the top. The original recipe says it makes 9 but I sometimes got as many as 11 cups filled. 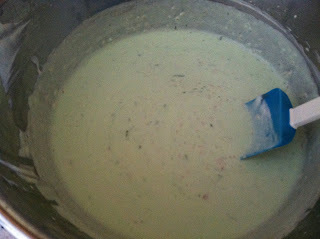 This mixture is a little more liquidy than the others. Remember to cut a small slit at the top of each cup to allow for easier removal from the pop later. Once the cups are filled, you may insert a popsicle stick. Freeze for at least 4 hours.